The 6th Annual World Patient Safety, Science & Technology Summit was organized with the support of the Secretary of State for Health and Social Care, the Rt. Hon. Jeremy Hunt MP and co-convened by the European Society of Anaesthesiology. 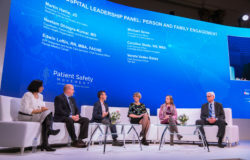 The 2018 Summit brought international hospital leaders, medical and information technology companies, the patient advocacy community, public policy makers and government officials, together to discuss solutions to the leading challenges that cause preventable patient deaths in hospitals across the world. The Summit featured keynote addresses from Director General, Dr. Tedros Adhanom Ghebreysus, Rt Hon Jeremy Hunt MP, as well as patient safety experts such as Martin Bromiley and Matthew Syed, plenary sessions with healthcare luminaries, members of the press and patient advocates, as well as announcements from organizations who have made their own commitments to reach the Patient Safety Movement Foundation’s goal of ZERO preventable deaths by 2020. 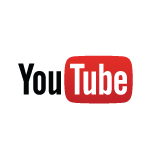 To watch keynote addresses, featured speakers, panels and commitment announcements please follow the link below. 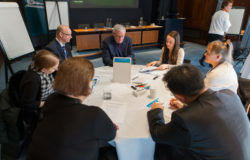 As a commitment-based organization the Movement encourages committed organizations to join us in London for our 6th Annual World Patient Safety, Science & Technology Summit. For detailed information on registration pricing please follow the button below. 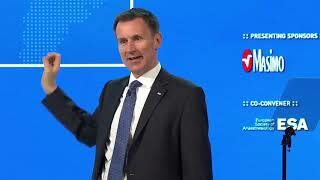 Jeremy Hunt has been a Conservative Member of Parliament for South West Surrey since May 2005. He was re-elected in 2015 with an increased majority. In September 2012 Jeremy was appointed as Secretary of State for Health and Social Care. Prior to this, he served as Secretary of State for Culture, Olympics, Media, and Sport in May 2010 during which time he oversaw a successful Olympic and Paralympic Games in London in the summer of 2012. He had shadowed this brief in opposition since July 2007. 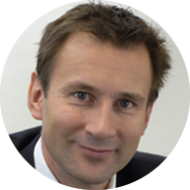 Born on 1 November 1966, Mr. Hunt studied Philosophy, Politics and Economics at Oxford University. He lives in Godalming and London with his wife Lucia and their three young children. 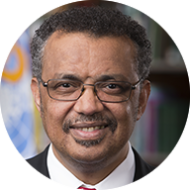 Dr. Tedros Adhanom Ghebreyesus was elected as WHO Director-General for a five-year term by WHO Member States at the Seventieth World Health Assembly in May 2017. He is the first WHO Director-General to have been elected from multiple candidates by the World Health Assembly, and is the first person from the WHO African Region to serve as WHO’s chief technical and administrative officer. Immediately after taking office on 1 July 2017 Dr Tedros outlined five key priorities for the Organization: universal health coverage; health emergencies; women’s, children’s and adolescents’ health; health impacts of climate and environmental change; and a transformed WHO. Prior to his election as WHO Director-General, Dr Tedros served as Ethiopia’s Minister of Foreign Affairs from 2012–2016. In this role he led efforts to negotiate the Addis Ababa Action Agenda, in which 193 countries committed to the financing necessary to achieve the Sustainable Development Goals. Dr Tedros served as Ethiopia’s Minister of Health from 2005–2012, where he led a comprehensive reform of the country’s health system. All roads lead to universal health coverage for Dr Tedros, and he has demonstrated what it takes to expand access to health care with limited resources. The transformation he led as Ethiopia’s Minister of Health improved access to health care for millions of people. Under his leadership Ethiopia invested in critical health infrastructure, expanded its health workforce, and developed innovative health financing mechanisms. Beyond Ethiopia, Dr Tedros’ global leadership on malaria, HIV/AIDS, and maternal and child health has been immensely impactful. 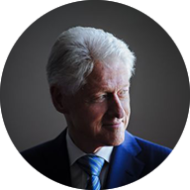 He was elected as Chair of the Global Fund to Fight AIDS, Tuberculosis, and Malaria Board in 2009, and previously served as Chair of the Roll Back Malaria Partnership Board, and Co-chair of the Partnership for Maternal, Newborn and Child Health Board. Born in the city of Asmara, Eritrea, Dr Tedros holds a Doctorate of Philosophy (PhD) in Community Health from the University of Nottingham and a Master of Science (MSc) in Immunology of Infectious Diseases from the University of London. 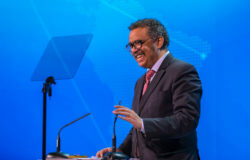 Dr Tedros is globally recognised as a health scholar, researcher, and diplomat with first-hand experience in research, operations, and leadership in emergency responses to epidemics. 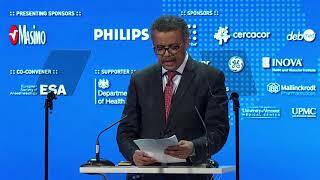 Throughout his career Dr Tedros has published numerous articles in prominent scientific journals, and received awards and recognition from across the globe. He received the Decoration of the Order of Serbian Flag in 2016, and was awarded the Jimmy and Rosalynn Carter Humanitarian Award in recognition of his contributions to the field of public health in 2011. Stefan De Hert received his medical degree at the University of Antwerp, Belgium in 1984. Subsequently he completed anesthesiology residency training at the Antwerp University Hospital. After his training he accepted a faculty position in the department and served as vice chairman of the Department of Anesthesiology at the Antwerp University Hospital and professor of Anesthesiology at the University of Antwerp for over 10 years. 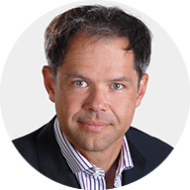 From 2007 to 2010 he acted as Professor of Cardiothoracic and Vascular Anesthesiology at the University of Amsterdam, The Netherlands, and Director of the Division of Cardiothoracic and Vascular Anesthesiology at the Academic Medical Center in Amsterdam. 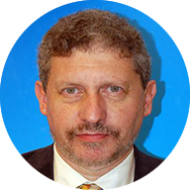 Presently, he is Professor of Anesthesiology and Director of Research at the Department of Anesthesiology of the University Hospital of Ghent. His early work and PhD thesis, which he defended in 1992, explored the role of the endocardial endothelium in the regulation of myocardial function. 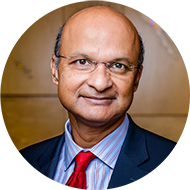 His academic interests have focused on perioperative cardiac function with emphasis on diastolic function, transesophageal echocardiography, perioperative organ protective strategies and outcome after anesthesia, hemodilution and volume replacement strategies, and perioperative cerebral oxygenation. He has authored and co-authored over 200 articles in peer-reviewed journals and several chapters in different textbooks. He is Associate Editor the Journal of Cardiothoracic and Vascular Anesthesia and acts as regular reviewer for several major anesthesiology, cardiology and surgery journals. Prof. De Hert acted as chair of the ESA Scientific Committee. He is currently president of the European Society of Anesthesiology. In 2005 Martin Bromiley’s late wife died needlessly during a routine hospital procedure. A subsequent independent review identified that a well-equipped operating theatre and a team of clinicians all technically skilled, had failed to respond appropriately to an unanticipated emergency. It wasn’t the clinicians that failed; it was the system and training that failed them by making it hard to do the right things. Human Factors is the application of scientific methods to make people safer and perform better. In a clinical setting it involves an understanding of team works, tasks, equipment, workspace, culture and communication. As a result of Martin’s tragedy, he founded the Clinical Human Factors Group, a charitable trust which aims to raise awareness, challenge and promote best practice around human factors – www.chfg.org. Since inception the Group has promoted human factors at the highest levels in healthcare, making a significant contribution to current thinking – promoting education, training and investigation have all been key priorities. Human factors are now far better understood by the frontline and senior leadership although there’s much to do. Martin’s work has been recognised through awards from a number of Royal Colleges and professional bodies. 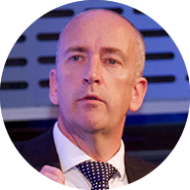 In the 2016 New Year Honours list Martin was awarded an OBE for his work to further patient safety and in 2017 was awarded a Fellowship by the Royal College of Surgeons. Martin conducts all of his CHFG work in his spare time and free of charge (but donations to the CHFG are welcome)! Professor Sir Liam Donaldson is recognized as an international champion of patient safety and public health. He was the foundation chair of the World Health Organization World Alliance for Patient Safety, launched in 2004. He is a past vice-chairman of the World Health Organization Executive Board. He is now the World Health Organization’s Envoy for Patient Safety and Chairman of the Independent Monitoring for the Polio Eradication Program. In the UK, he is currently Chair of Health Policy at Imperial College London and Chancellor of Newcastle University. Sir Liam has received many public honors: 12 honorary doctorates from British universities, eight fellowships from medical royal colleges and faculties, and the Gold Medal of the Royal College of Surgeons of Edinburgh. He was the Queen’s Honorary Physician between 1996 and 1999. He was knighted in the 2002 New Year’s Honors List. He is the author of two bestselling books – Bounce and Black Box Thinking – having just released his latest book, The Greatest. He is a multiple award-winning journalist for The Times and a highly-acclaimed speaker, regularly contributing to radio and television. Before becoming a writer, journalist and broadcaster, Matthew was the England table tennis number one for almost a decade, three-times Commonwealth Champion, and twice competed for Great Britain in the Olympic Games (in Barcelona in 1992 and Sydney in 2000). His style was unusually defensive, playing strokes from the back of the court described as “spectacular roof threatening parabolas”. 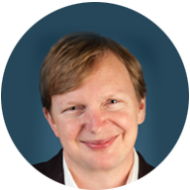 Matt is a serial inventor and the co-founder of SmartWard, a company whose mission is to improve patient safety and the job satisfaction of clinical professionals. Matt’s work has spanned sectors as diverse as Cybersecurity, Safety-Critical Systems, Defence and now Health and encompasses new hardware as well as software solutions. Matt lives in Canberra, Australia and travels regularly to Europe and the US. His dream is to improve patient safety as a legacy for his daughter, Jem. 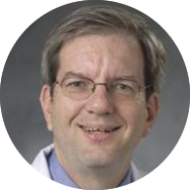 Dr. Charles Murphy is a Duke-trained cardiothoracic surgeon and critical care physician. After being a cardiothoracic surgeon for 17 years, he returned to Duke as the medical director of the cardiothoracic ICU and stepdown units. Dr. Murphy also served as a physician lead for quality in the Duke Heart Center and the Department of Surgery. He then became the Associate Chief Patient Safety Officer for the Duke Health System. Dr. Murphy is currently the Chief Patient Safety Officer at the Inova Heart and Vascular Institute. He continues to be active in direct patient care as a critical care physician and medical director of the Cardiovascular ICU at Inova. Frans is passionate about innovation, entrepreneurship and business transformation. 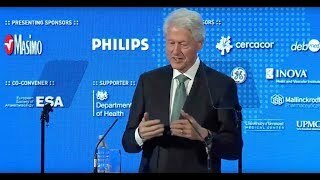 He is leading Philips on a course to leadership in health technology, dedicated to making the world healthier and more sustainable, with the aim of improving three billion lives per year by 2025. 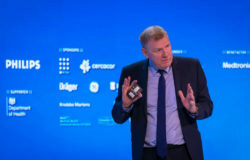 Frans first joined Philips in 1986 and has held multiple global leadership positions across the company on three continents, including the role of co-CEO of the Consumer Electronics division. From 2004 to 2009 he led the successful Philips spin-off NXP Semiconductors. Between 2009 and 2010 he ran his own consultancy practice and was, among other roles, senior advisor to the board of Dutch financial services business ING Group, where he was responsible for the separation of the company’s banking and insurance activities. Frans launched Philips’ global Accelerate! program in 2011 with the objective of improving customer focus, transforming the portfolio, driving innovation and operational excellence and improving competitiveness throughout the company in order to boost growth. Accelerate! remains the engine of the company’s improved results today. Frans’ team has driven the transformation and revitalization of the portfolio to become a focused health technology company through targeted divestment, acquisition and organic business development. This is exemplified by the sale of the television business in 2012; the audio and video businesses in 2014 and the IPO of Philips Lighting on the Amsterdam Euronext stock exchange in May 2016. At the same time, Philips has invested in acquiring complementary health technology businesses, including US image-guided therapy leader Volcano and population health analytics leader Wellcentive, while stepping-up in-house R&D to establish new businesses in areas like Digital Pathology, Medical Wearables, and Health Informatics. With these steps, Royal Philips is poised to accelerate growth and performance and capture the opportunities in the EUR 145+ billion market for health technology. As a stand-alone company, Philips Lighting is able to leverage its leadership in the EUR 65+ billion market for digital lighting solutions. 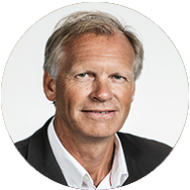 Frans holds a Master’s degree in Economics and Business Management from Erasmus University in Rotterdam and is a member of the European Round Table of Industrialists, an advocacy organization comprising the 50 largest European multinationals. 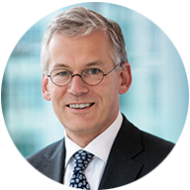 Since May 2016, he has been vice chairman and a member of the supervisory board of Philips Lighting. He was appointed a member of the Board of Directors of Novartis in February 2017. Married with four children, Frans lives near Amsterdam and enjoys contributing to community projects, sailing, skiing, running, gardening and art. Frances Healey is a Registered Nurse with a doctorate in patient safety. Her clinical focus was older people, including leadership roles in providers of acute and community care, designing and leading clinically based research, national initiatives on mortality review, national clinical audits, and regional QI projects. She is currently Deputy Director of Patient Safety (Insight) in the national patient safety team at NHS Improvement. 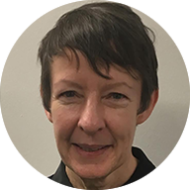 Her role includes leading the teams who undertake clinical review of all nationally reported death and severe harm incidents and the National Patient Safety Alerting System. I graduated from the Faculty of Medicine of the National Autonomous University of Mexico (UNAM) in 1963. I specialized in Internal Medicine and Gastroenterology at the National Institute of Medical Sciences and Nutrition “Salvador Zubirán” (INCMNSZ) (1966-1970). Later I specialized in Hepatology at the Royal Free Hospital in London (1971-1974) and obtained a PhD in medicine from the University of London (1975). Upon my return to Mexico, I reincorporate to the INCMNSZ, where I have held several positions and I am now its General Director since 2012. My field of research is mainly focused on the study of liver diseases. I am an Emeritus Member of the National System of Research of Mexico. In 2016, I was awarded the National Prize for Science of Mexico. Professor of Gastroenterology and tutor of Master’s and PhD students at UNAM. I have around 500 publications, of which 203 are original articles. I have written 81 chapters of books. I was a member of the Board of Governors of the National University of Mexico (UNAM) (2005-2012). I served as Surgeon General in México, from October 2011 to June 2012. I was President of the International Association for the Study of the Liver. and the National Academy of Medicine of Mexico. I am Honorary Fellow of the Royal College of Physicians in England. Beth Lyman MSN, RN, CNSC is the Sr. Program Coordinator of the Nutrition Support Team for Children’s Mercy Kansas City. She has been a nutrition support nurse for 36 years with 26 of those years at a children’s hospital where she has inserted many nasogastric tubes. As a member of the board of directors of the American Society of Parenteral and Enteral Nutrition, Mrs. Lyman worked with the board to develop the New Opportunities for Verification of Enteral tube Location (NOVEL) project which is an inter-organization, inter-disciplinary and international effort to promote best practice for NG tube placement verification. Since its inception in 2012, the NOVEL project members have completed and published 3 research studies, published 4 best practice papers and have given over 20 lectures at regional and national nursing meetings on the topic of NG tube placement and misplacement. Aside from the NOVEL project activities, Mrs. Lyman helped form an Enteral Access Team at Children’s Mercy Kansas City which focuses on the safe use and replacement of all enteral access devices. She also conducts research on enteral formula administration safety. In addition, Mrs. Lyman follows a caseload of home TPN patients and works closely with other members of the Nutrition Support Team and Intestinal Rehabilitation Team to provide safe parenteral nutrition across all care settings. Promote and implement evidence based practice and develop best practices for pediatric nursing. Clinical expert on revision and development of policies and guidelines for pediatric cardiology and critical care. Develop and evaluate quality improvement initiatives for staff to improve patient care. Act as a patient advocate and promotes family centered care. Co-chair of Heart Institute clinical practice and quality council. Participates in the prevention of Target Zero Hospital Acquired Infection work related to CAUTI and SSIs. Chairs Code Committee Education subgroup to develop education to assist nurses in identifying clinical deterioration and managing rapid response. Facilitates high fidelity code simulations and debriefing for nursing and medical providers for the heart institute. Deahna Visscher is a mother that lost her infant son, Grant Lars Visscher when he was 11 days old due to an avoidable medical error. Since his death in 2008 she has been on a quest to find a solution to prevent others from experiencing the loss that she was due to a misplaced feeding tube. Through this journey, she has become a parent partner on the Patient Safety Committee at the hospital that he died at and has also become a member of the American Society of Parenteral and Enteral Nutrition (ASPEN) sub-committee NOVEL (seeking New Opportunities for Verification of Enteral tube Location). Dr. Greiner is a leader in academic nursing and community-based participatory research. His background in public health nursing and community engagement provide a strong basis for his current work as PI on a federally funded geriatrics workforce enhancement project in San Diego, CA. This project uses a public health/partnership model to enhance geriatric education related to Alzheimer’s disease and related disorders for primary care providers and caregivers throughout the county. Dr. Greiner’s interest in patient safety stems from his involvement in state and national organizations for improving nursing and interprofessional education. Dr. Greiner received a BSN, MSN in Community Health, and a DNSc from the University of Pennsylvania School of Nursing. He completed two post-doctoral studies and two fellowships. Annegret F. Hannawa, Ph.D. is tenured Associate Professor of Health Communication at the Università della Svizzera italiana, where she directs the Center for the Advancement of Healthcare Quality & Patient Safety (CAHQS). She also serves as Associate Faculty at the Johns Hopkins University’s Bloomberg School of Public Health and as Honorary Research Associate at Cardiff University’s School of Medicine (UK). Prof. Hannawa founded and presides the ISCOME Global Institute for the Advancement of Communication Science in Healthcare, which enables interdisciplinary research collaborations between leading scholars in communication science and healthcare to enhance safe practice across the globe. Prof. Hannawa’s research focuses on the role of interpersonal communication in optimizing the safety & quality of care. Her research has been published in a variety of distinguished journals and recognized with numerous international awards. Most recently, she received the Jozien Bensing Research Award (2016) for outstanding career achievements and impact. Her book “Communication Competence” received a competitive “Book-of-the-Year” award by the National Communication Association (NCA). Several of her empirical investigations received “Top Paper Awards” by the NCA and the Swiss Patient Safety Foundation. In 2017, she published the case studies book “New horizons for Patient Safety: Understanding Communication” to translate her “SACCIA Safe Communication” competencies for medicine & nursing. Dean Jordan was recruited by Chapman University, to found the School of Pharmacy at its new multidisciplinary Health Sciences Campus in Irvine, California in February of 2013. Dean Jordan previously served as dean of the College of Pharmacy at the University of Rhode Island (URI) and as executive secretary of the Rhode Island State Crime Lab Commission since 2007. At URI, he oversaw completion of construction on his college’s $75 million research and teaching facility. During his tenure at URI, enrollment in the pharmacy program increased 45 percent. The URI College of Pharmacy ranked among the top research-oriented colleges of pharmacy in the U.S., with federally funded research exceeding a five-year average of nearly $9 million per year, a one-third period-to- period increase. He is registered pharmacist and Fellow of the American Pharmacists Association. Dean Jordan is a former President of the American Pharmacists Association (APhA), the largest professional society of pharmacists in the world. Recently he was selected as a Dean Mentor for the American Association of Colleges of Pharmacy, Academic Leadership Fellows Program. 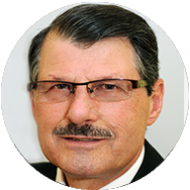 Ron is an entrepreneur and pharmacy leader with business development and health informatics expertise. He founded businesses in hospice and pain management pharmacy, health benefit management software and integrated health systems informatics consulting. He was also a senior executive at companies offering an internet consumer prescription marketplace, pharmaceutical product supply chain transformation and health benefit insurance for 10 years. He earned his BS Pharmacy at URI and studied three years in a Doctoral program in pharmaceutics. 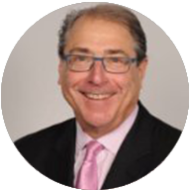 His a member of the Board of Directors and Finance Committee of the Rhode Island Free Clinic and on the Board of Advisors for FSAStore Inc., and CareKinesis, a medication management company. 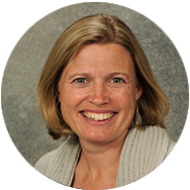 Dr. Lagrew is a maternal fetal medicine specialist and physician informaticist with a special interest in maternal quality improvement. After growing up in Lexington, Kentucky, where he completed his medical school and residency at the University of Kentucky. He began computer programming as an undergraduate student and earned extra income during undergraduate and medical school. He came to Southern California to complete his maternal-fetal medicine fellowship at Long Beach Memorial Medical Center and University of California, Irvine. Following the fellowship, Dr. Lagrew joined the faculty at University of Louisville before returning to become medical director at the just opened Saddleback Women’s Hospital in 1988, the first labor, delivery and recovery (LDRP) unit on the west coast where he helped developed techniques for providing obstetrical care via the collaborative practice model. The hospital was a pioneer effort for cesarean section reduction, emergent cesarean section drills, maternal quality improvement in techniques such as controlling unnecessary inductions and episiotomies. He introduced an obstetrical database called OBStat that produced multiple statistical and quality reports to drive the innovation. He started the largest perinatal office in south Orange County and despite his busy administrative duties he has carried on a busy clinical practice of high risk pregnancies including the delivery of over 30 sets of triplets or quadruplets. Dr. Lagrew currently is a member of the Executive Committees of the California Maternal Quality Care Collaborative (CMQCC) and California Maternal Data Center. 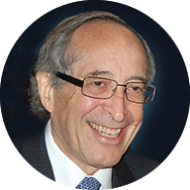 He co-chairs the CMQCC Hemorrhage and Intended Vaginal Birth Taskforces and co-edited the CMQCC Hemorrhage and Primary Cesarean Section reduction toolkits. He participated on the national committees including the ACOG ReVitalize conference for obstetrical terms, AIM taskforce on obstetrical hemorrhage and co-chaired the AIM taskforce on primary cesarean reduction. When the hospital adopted an early effort of electronic order entry he served as a physician champion. In 1996 he became the Medical Director for Informatics for the newly formed MemorialCare Physician Society, as part of MemorialCare Health System’s wide effort to adopt electronic medical records. As part of the role he helped design the system-wide physician informatics governance and worked to ensure close development working relationships between build staff and clinicians. Saddleback became the first hospital on the west coast to turn on the Epic Systems medical record system and Dr. Lagrew was the physician champion and chief of staff at the time. 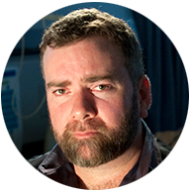 In 2007 he assisted in providing expertise into the design of the Epic Obstetrical Module, Stork. In 2010, he reduced his clinical practice and became the Chief Integration and Accountability Officer (CIAO) for MemorialCare and focuses on modern physician adoption of electronic records and other informatics disciplines. In all he has been part of six hospital go-lives and multiple office/clinical go-lives with the Epic record. He has given many regional and national presentations on physician adoption of electronic records and the use of clinical data extracted from medical records. In 2013, he was appointed by the executive committee of the Society of Maternal Fetal Medicine to Chair a special taskforce involving the major obstetrical provider groups on the Maternal Health Information Initiative to help achieve consensus on information needs going forward. 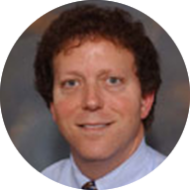 He has worked on numerous national perinatal quality initiatives with focuses on cesarean section rates, maternal hemorrhage and elective deliveries working with organizations like IHI, ACOG, SMFM, and CMQCC. Dr. Lagrew is the President Elect of the Pacific Coast Obstetrical and Gynecological Society. 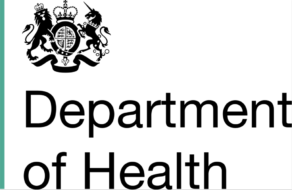 He co-chairs the AIM Safety Bundle taskforce on increasing chances for intended vaginal deliveries and CMQCC Toolkit development for the same subject. He holds triple board certification in Obstetrics/Gynecology, Maternal Fetal Medicine and Clinical Informatics. 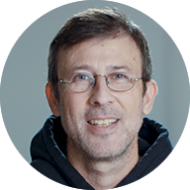 In addition to these administrative and leadership roles he continues to active in authoring numerous peer reviewed publications and book chapters. 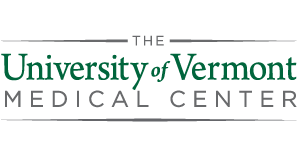 In October of 2016 he accepted the position of Executive Medical Director of Women’s Service for the St. Joseph-Hoag Health region of Providence Healthcare. He has been charged with developing the individual Ministries Clinical Institutes and systematizing Women’s Health. 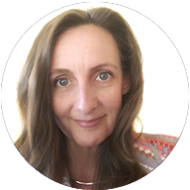 Jill Arnold is a consultant and project manager in the maternity care sector specializing in safe C-section rate reduction, data reporting and consumer engagement with maternity data. Her research on C-section, VBAC and other delivery method data led to the creation of a registry of national hospital-level data that Consumer Reports licensed in 2013. She consults for Consumer Reports as a subject matter expert, having worked as a Project Manager and Social Media Manager for multiple projects. Jill currently serves as the Vice Chair of the Arkansas Healthcare Transparency Initiative Task Force Board, is an Editorial Board Member of the Institute for Perinatal Quality Improvement and an Expert Consultant to the Delivery Decisions Initiative at Harvard’s Ariadne Labs as well as serving as a member of the steering committee of the California Maternal Quality Care Collaborative (CMQCC) Maternal Data Center since 2013. Along with patient advocate Kristen Terlizzi, Jill co-founded the National Accreta Foundation to eliminate maternal mortality and morbidity attributable to a condition called placenta accreta and to improve access to safe, risk-appropriate care for every pregnancy. Siddarth Satish is the Founder and CEO of Gauss Surgical, a medical technology company using computer vision and machine learning to make surgery and childbirth safer and more cost-effective. Gauss’s first application, Triton, uses the iPad to monitor blood loss from digital images of sponges and canisters, with the goal of improving obstetrical safety, reducing unnecessary transfusion, and preventing retained sponges. In his operating roles, Siddarth has led the team through seven US/EU regulatory clearances (including FDA De Novo approval and raised $25 million in venture capital. In the last 12 months, Triton has been adopted by over 30 hospitals, covering over 100,000 surgeries annually. 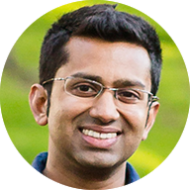 From 2011 to 2013, Siddarth served as an Entrepreneur-in-Residence at StartX, Stanford University’s Startup Accelerator, and as a SIMdesign Fellow in the Department of Surgery at Stanford. Previously, he worked on computational drug discovery and molecular modeling at Gilead Sciences. Siddarth was born in India and immigrated to the United States at the age of 7. He holds a B.S. in Chemical Engineering from the University of California, Berkeley, and an M.S. in Bioengineering from the UCSF/UC Berkeley Joint Graduate Group in Bioengineering. He serves on the Technology Committee of the Anesthesia Patient Safety Foundation, and was named to the Forbes 30 Under 30 list in healthcare. Dr. Silver is a professor of Obstetrics and Gynecology and Interim Chairman at the University of Utah Health Sciences Center. His research has focused on recurrent pregnancy loss including stillbirth, complications of cesarean delivery including placenta accreta spectrum, maternal medical disorders in pregnancy and reproductive immunology. 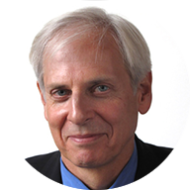 He is the principal investigator for the Utah site of the Stillbirth Collaborative Research Network, the Effects of Aspirin in Gestation and Reproduction (EAGeR) trial, the Nuliparous Pregnancy and Preterm Birth Network, and the Heart health Network, sponsored by the NICHD. He also is a co-principle investigator for the Maternal Fetal Medicine Units network of the NICHD, a project to use MRI to assess placental function funded by the Human Placenta Project, and an AHA funded investigation to assess the relationship of placental function and congenital heart disease. He is active in the Society for Maternal Fetal Medicine and the International Stillbirth Alliance. Kristen Terlizzi is a maternal health and patient safety advocate and co-founder of the National Accreta Foundation. In 2014 Kristen spent two months postpartum in the hospital due to complications of Placenta Accreta, a life threatening pregnancy complication requiring attentive multidisciplinary care. Kristen now shares her patient story to educate audiences on abnormal placentation and the downstream costs of cesarean deliveries. Her medical case report is published in the official journal of the American Congress of Obstetricians and Gynecologists (ACOG) and her patient story has been featured in Vox Media, the Wall Street Journal and People.com. 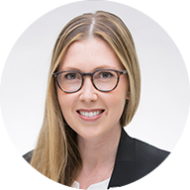 Kristen peer mentors women diagnosed with Placenta Accreta and speaks at events for medical students, hospital leadership, and perinatal quality improvement initiatives. 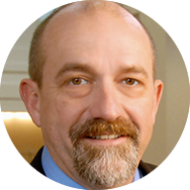 Marty Hatlie is Co-Director of the MedStar Institute for Quality & Safety, which integrates open and honest communication strategies, person and family engagement, and high reliability organization principles into safety and quality improvement. He also serves as President & CEO for Project Patient Care (PPC), the Chicagoland safety and quality improvement coalition, which is dedicated to using the voice of the patient to improve care. Hatlie is active in U. S. federal health system transformation work as a consultant on several projects funded by the Centers for Medicare and Medicaid Services, the Agency for Healthcare Research and Quality (AHRQ) and the Patient Centered Outcomes Research Institute. Hatlie is a former litigator, with a background in civil rights and medical liability defense work early in his career. In the 1980s and early 90s Hatlie was a lobbyist for the American Medical Association (AMA) focused on tort reform. He coordinated the AMA’s launch of the National Patient Safety Foundation in 1997 and served as its founding Executive Director from 1997–99. 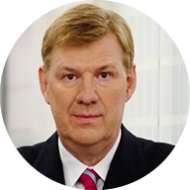 He currently serves on the Boards of Directors of the Leapfrog Group and the Alliance for Integrated Medication Management, and in a leadership role for H2PI – the Healthcare Patient Partnership Institute. 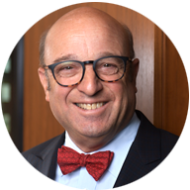 He also serves on patient safety advisory boards for AHRQ, the Joint Commission, the National Quality Forum and the World Health Organization. Previously, Hatlie served on the Boards of Directors of the Anesthesia Patient Safety Foundation, Parents of Infants & Children with Kernicterus, the Physician Insurers Association of America, and the American Tort Reform Association. Dr Neelam Dhingra-Kumar, MD, Coordinator, Patient Safety and Risk Management, Service Delivery and Safety, World Health Organization, Geneva. Dr Dhingra leads WHO’s efforts at providing strategic leadership on patient safety and risk management within the context of improving people-centred integrated health services delivery and UHC. Dr Dhingra coordinates WHO’s work for improving patient safety and managing risks in health care, including Global Patient Safety Challenge on medication safety; leadership; safety culture; education and training; patient safety standards, assessments, research and measurement; global patient safety networks; safety and quality tools and checklists (Safe Childbirth & Surgical Safety); reporting and learning systems; patient and family engagement including Patients for Patient Safety; safer primary care; diagnostic safety; standardizing care processes; and patient safety solutions. Since joining WHO in 2000, Dr Dhingra has been providing strategic leadership and facilitating multi-country support for strengthening blood transfusion services. 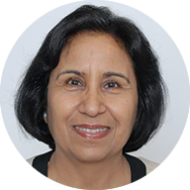 From 2015, Dr Dhingra is coordinating WHO global efforts in the areas of patient safety, quality improvement and risk management. Prior to joining WHO, Dr Dhingra served as a medical faculty in a large, tertiary care university teaching hospital in New Delhi, India for 14 years, also coordinating transfusion and laboratory services, after medical and specialist qualifications from New Delhi and UK fellowships. 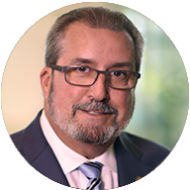 Edwin Loftin, RN, MBA, NEA-BC, FACHE Senior Vice President, Integrated and Acute Care Services/CNO Parrish Healthcare Mr. Loftin is a progressive senior healthcare executive who cultivates a culture of healing and person and family-centered care. Mr. Loftin led the medical center’s efforts to become the first in the nation to earn The Joint Commission’s Integrated Care Certification. Under his leadership, Parrish Healthcare has maintained an impeccable quality and patient safety record including PSMF 5-Star, SafeCare Group’s Top 100, LeapFrog Group’s highest Hospital Safety Score. Parrish Healthcare is also a member of the world-renown Mayo Clinic Care Network. Loftin’s community service includes serving on The Joint Commission Clinical Advisory team for Vizient Inc., Vizient SE and Truven Advisory Committee; Board member of The Safe Care Group; member of advisory boards for UCF and EFSC Colleges of Nursing; board chair of the Space Coast Chapter of the American Red Cross; board member of Brevard County Big Brothers and Big Sisters; and serving as the United Way of Brevard Employee Campaign Manager. Loftin earned his Master of Business Administration degree from East Carolina University and his Bachelor of Science Degree in Nursing from Atlantic Christian College in Wilson, North Carolina. He is a fellow of the American College of Healthcare Executives and a member of the American Organization of Nurse Executives. CEO, 11 Health & Technologies Ltd.
Michael is the founder of 11Health, the world’s first sensor network company focused on helping patients with long term chronic conditions who are connected to medical bags. He was diagnosed aged 12 with the incurable bowel condition Crohn’s Disease. In late 2011 he became the 11th person to undergo a small bowel transplant in the UK at The Churchill Hospital in Oxford. More recently he is a two time cancer survivor. 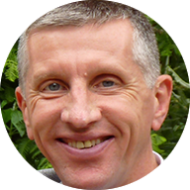 Michael started blogging about his journey and is a published author and patient mentor. He was the co-Chair of NHS Digital Services User Council & helped implement the first skype clinics in UK. In 2015 he was announced as Stanford Medicine X first Patient-in-Residence and is an Executive Board member. Vonda Vaden Bates added patient safety to her speaking and consultancy engagements after extensively researching how her husband, Yogiraj Charles Bates, died from one of the most common preventable causes of hospital associated death, HA-VTE (Hospital Associated-Venous Thromboembolism.) Stalled attempts to engage the hospital redirected Vonda’s attention to patient and caregiver safety everywhere. Aiming to avoid similar outcomes for others, she empathetically sheds light on the impact opaque hospital cultures have upon grieving families and caregivers. 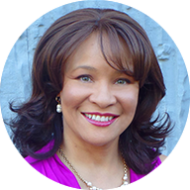 Advocating every player in the care arena, Vonda brings 20+ years of consulting success to influence advancements in healthcare safety by building organizational capacity in the areas of beneficial pausing and ego collaboration. 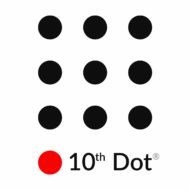 She is CEO, and Sr. Trainer, Facilitator, and Consultant with 10th Dot Transformations®. Dr Johannes Wacker has completed his training as Specialist in Anaesthesiology Switzerland, and has trained as Clinical and Research Fellow in Cardiac Anaesthesia & Intensive Care at Toronto General Hospital, Canada. He was appointed Consultant Anaesthesiologist at the University Hospital, Zurich, in 2001, and Consultant Anaesthesiologist at Hirslanden Clinic in Zurich, Switzerland, in 2009. 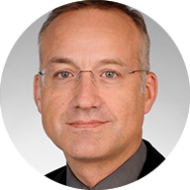 He is Associate Lecturer (Patient Safety) at the University of Zurich, and Chair of the Patient Safety and Quality Committee of the European Society of Anaesthesiology. 1979-1982: Anesthesiologist pediatric hospital, Lima, Peru. Dr Mellin-Olsen is cand. med. from the University of Trondheim, Norway, from 1982. In 1987, she was the first Norwegian female physician to complete her (voluntary) military services, which she did by serving for the UNIFIL Forces in South Lebanon. 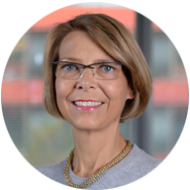 She got involved in patient safety initiatives during her residence training in Trondheim University Hospital where she got her specialty in 1992. She has worked for the Red Cross in Pakistan and Serbia. She was the medical director for Europe, Middle East and Africa for MedAire, Inc, based in Tampe, AZ, for ten years, dealing with remote medical advice, including for aviation and maritime. Since 2002, she has held a full time clinical post in Baerum Hospital, Oslo, Norway. 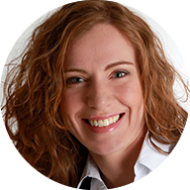 Both in her home country and internationally, Jannicke is known for her dedication to organizational work. She has been active in the Veterans’ organization and in national and international medical organisations. During her term in the European Board of Anaesthesiology, she chaired the Patient Safety and Quality Committee before becoming president. During her presidency, she was the driving force for the Helsinki Declaration on Patient Safety in Anaesthesiology, which was launched in 2010. Since then, this Declaration has been signed and supported in all regions of the world and has become the industry standard. 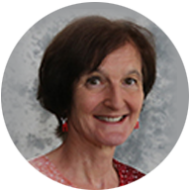 She is currently the secretary of the European Society of Anaesthesiology and the president elect of the World Federation of Societies of Anaesthesiologists. In her home country, she is known as a promoter of a non-punitive approach to medical errors, according to the model of the NTSBs. She is particularly committed to human factors, communication and involvement of patients, relatives and clinical staff as experts to improve patient safety. Jannicke’s publication list mainly contains articles and book chapters related to patient safety, edication and manpower. She is a well-known speaker at anaesthesiology meetings globally and holds several honorary positions. Andrew Smith obtained his medical degree from the University of Newcastle upon Tyne in 1988. 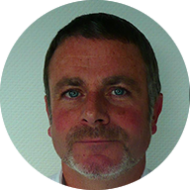 He has been a consultant anaesthetist at the Royal Lancaster Infirmary since 1998 and Director of the Patient Safety Research Unit there since 2008. 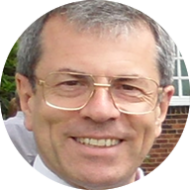 He has been an advisory member of the Safe Anaesthesia Liaison Group since 2009 and is also a member of the European Society of Anaesthesiology’s Patient Safety and Quality Committee. He has participated as an invited expert in the WHO Global Consultation on Patient Safety (2016) and the 2nd Global Ministerial Summit on Patient Safety (2017). His contribution to the specialty of anaesthesia, and the science and practice of patient safety, were recently recognised by a Foundation Award from the Association of Great Britain and Ireland. Dr David Whitaker FRCA, FFPMRCA, FFICM, FCARCSI (Hon) Dr Whitaker is from Manchester UK and a Past President of the Association of Anaesthetists of Great Britain and Ireland (AAGBI). He is also a past Chairman of the Association of Cardiothoracic Anaesthetists (ACTA) and a past elected member of the Council of the UK Royal College of Anaesthetists and elected an Honorary Fellow of the College of Anaesthetists of Ireland. 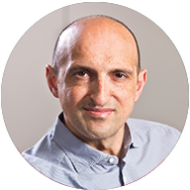 He is a member of the European Society of Anaesthesiology (ESA) Patient Safety and Quality Committee and a past member of the Quality and Safety Committee of the World Federation of Societies of Anaesthesiologists (WFSA). 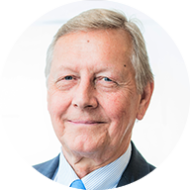 He is currently Chairman of the European Board of Anaesthesiology Safety Committee and in 2010 he was a co-author of the Helsinki Declaration on Patient Safety in Anaesthesiology now signed by over 200 anaesthesia related organisations worldwide. Dr Whitaker is particularly interested in implementing safer practices into Anaesthesia, Intensive Care and Pain Medicine and is currently promoting better Patient Blood Management, medication safety including the increased use of pre-filled syringes and more widespread patient monitoring outside the operating theatre e.g. continuous capnography in Intensive Care, Sedation and Resuscitation. He is also working on the EBA/ESA/ERC initiative to standardise the cardiac arrest call internal telephone number in European Hospitals to 2222. 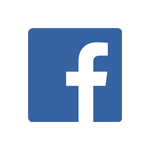 Chairman, EHCO The Electronic Hand Hygiene Compliance Organization,Inc. For 17 years, I led the Brighton Collaboration Foundation, an international not-for profit organization harmonizing, conducting, and promoting high quality vaccine safety research. Brighton Collaboration guidelines and vaccine safety standards are now widely accepted and recommended by key stakeholder organizations including the World Health Organization (WHO), Food and Drug Administration (FDA), European Medicines Agency (EMA), Centers of Disease Control (CDC), European Center of Disease Control (ECDC). As past Strategic Advisory Group Member of the WHO Global Vaccine Safety Initiative (GVSI) I helped implementing the vaccine safety strategy of the Global Vaccine Action Plan. At the University of Basel, I teach pediatrics, infectious diseases & vaccines and I care for patients in hospital and outpatient clinics. My mission is to provide high quality scientific evidence through collaborative efforts for trusted and timely public and private decision making related to immunizations. From both direct care of patients and public health work I learned that vaccine safety is a real patient safety concern. At this Summit, I propose to build a bridge between the rapidly growing fields of vaccine safety and patient safety and to explore the numerous synergies together. Sara has believed in the power of nursing for more than 40 years, starting her career as a staff nurse and then supporting nurses and building clinical education. She first worked in critical care as a staff/charge nurse, staff development and post anesthesia recovery unit. 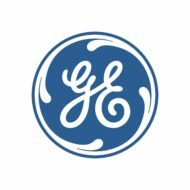 For the past 20 years, Sara was Clinical Program Manager for GE Healthcare. 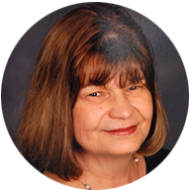 She worked in clinical education to develop programs and new educational tools to help promote clinical excellence across multiple healthcare professional roles in healthcare globally until retiring in 2017. As a long-time member of the American Association of Critical-Care Nurses (AACN), a member of the Greater Long Beach Orange County (GLBOC) chapter and a member of Sigma Theta Tau, Sara supports nursing education and scholarship. She serves on the Board of Directors for the MCN Foundation, which helps to empower communities to take control of their health, implementing projects to learn and share evidence-based knowledge with others to increase and promote healthcare-based education, empowerment and job creation in rural and developing regions. 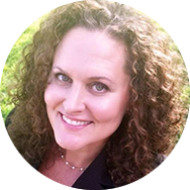 Sara is an Advisory Board member and clinical consultant for Sepsis Alliance. When she first heard about Sepsis Alliance, she realized the importance of the organization to educate healthcare professionals and the community about sepsis. She is Sepsis Ambassador and a Regional Network Chair for Patient Safety Movement Foundation. 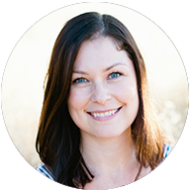 Through these roles and organizations, Sara shares her passion and the belief in the power of nursing and the importance of clinical knowledge, life-long learning, and helping others. 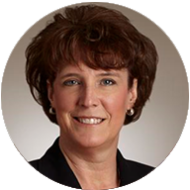 Chief Nursing Officer, Medline Industries, Inc.
Martie Moore is the Chief Nursing Officer of Medline Industries, Inc. To date, Moore holds the Certified Professional in Healthcare Quality (CPHQ) certification. 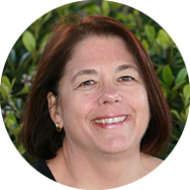 She serves as a Corporate Advisory Council Member for both the National Pressure Ulcer Advisory Panel (NPUAP) and American Nurses Association (ANA), and on the Dean’s Advisory Board for the University of Central Florida College of Nursing. 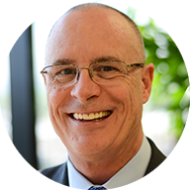 Prior to joining Medline, Moore was the Chief Nursing Officer at Providence St. Vincent Medical Center in Portland, OR, a hospital within Providence Health & Services and a designated Magnet facility. In her leadership role as CNO, Moore led the facility through its third and fourth Magnet designation. 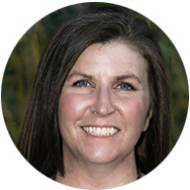 Moore has also served as an adjunct faculty member at multiple universities, most recently at George Fox University in the Healthcare Administration Program. In Moore’s early years, she received a Bachelor of Science in Nursing and her Master’s in Organizational Management. Based upon her knowledge and expertise, Moore publishes and presents nationally and internationally on transforming healthcare. 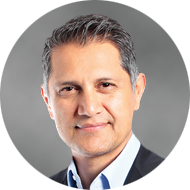 Enrique Seoane-Vazquez, PhD is professor in the area of pharmaceutical economic, regulation and policy at Chapman University School of Pharmacy. He holds a PhD in Social and Administrative Pharmacy from the University of Minnesota, and a BS in Economics from the University of Santiago. His previous work experience includes positions as Professor and Associate Professor at the School of Pharmacy-Boston, Massachusetts College of Pharmacy and Health Sciences (CPHS University). Assistant Professor at the Ohio State University, College of Pharmacy and College of Public Health; and Research Fellow at the PRIME Institute, University of Minnesota, College of Pharmacy. Recent research projects focus on prices of drugs in the US and other countries, intellectual property regulation of pharmaceuticals, and FDA policy and regulation. Dr. Seoane conducted more than 40 research projects for a variety of sponsors including the Agency for Healthcare Research and Quality, the Food and Drug Administration, the Kaiser Family Foundation, the Robert Wood Johnson Foundation, Ohio Medicaid, Ohio Public Employees Retirement System, the Inter-American Development Bank, the World Bank, and the World Health Organization. In 2004, he served as the pharmacy expert in the Ohio Commission to Reform Medicaid. Columbus of the Ohio Department of Job and Family Services. He also conducted research for governments, organizations, and associations of a dozen countries. 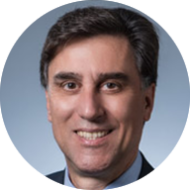 Dr. Seoane published more than 60 articles and 125 abstracts in reference journals including the New England Journal of Medicine, the American Journal of Cardiology, PLoS One, Health Policy, and Value in Health. He has given more than 200 national and international presentations in his areas of expertise. Dr. Seoane is the past-Chair of the Drug Policy and Pharmaceutical Services Committee of the American Public Health Association, and active member of the American Pharmacist Association, the Academy of Managed Care Pharmacy, the International Health Economists Association, and the International Society for Pharmacoeconomics and Outcomes Research. Every year the Patient Safety Movement Foundation identifies the most influential advocates in patient safety and honors them with the Humanitarian Award at the annual World Patient Safety, Science & Technology Summit. This award recognizes leaders who have made significant progress in eliminating preventable patient deaths so that we can reach our shared goal of zero by 2020. This year the awards will be given in memory of two men, Beau Biden and Steven Moreau, who are no longer with us physically. Both of them had boundless passion for making the world a better place, no matter what obstacles they faced. Each of our awards will be given in their names because ZERO is not just a worthy goal but an attainable one. The three prizes, totaling $85,000, were awarded at the 6th Annual World Patient Safety, Science & Technology Summit on February 23, 2018. The agenda linked below is a draft and will be updated as speakers confirm. We have answered the most commonly asked questions related to the Summit venue, nearby hotels (and discounted rates), dress code, etc. The following media outlets covered the 6th Annual World Patient Safety, Science & Technology Summit. Thank you to the following sponsors for making this Summit possible.